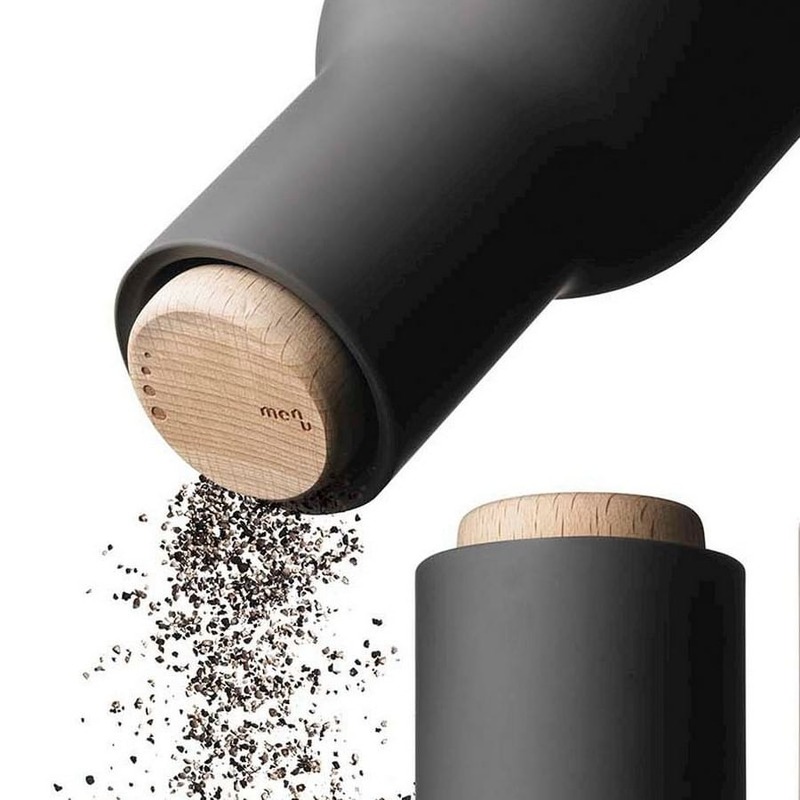 The Bottle Grinder by Menu is more than a set of salt and pepper mills. 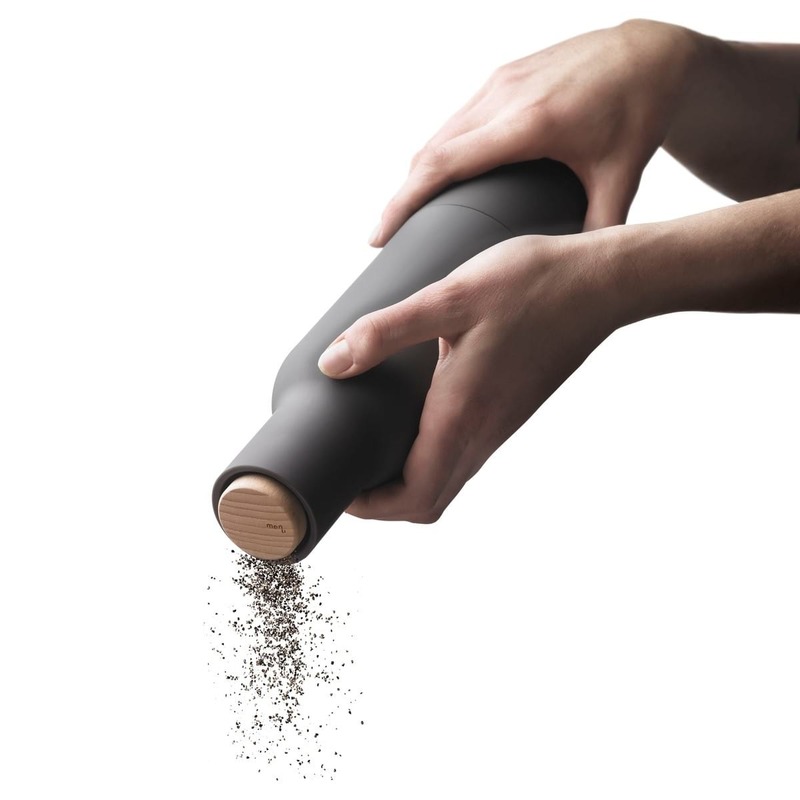 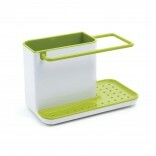 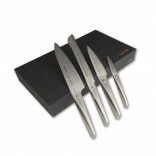 It is also a spice grinder, so you can choose to mill larger and more unusual spices in interesting ways. 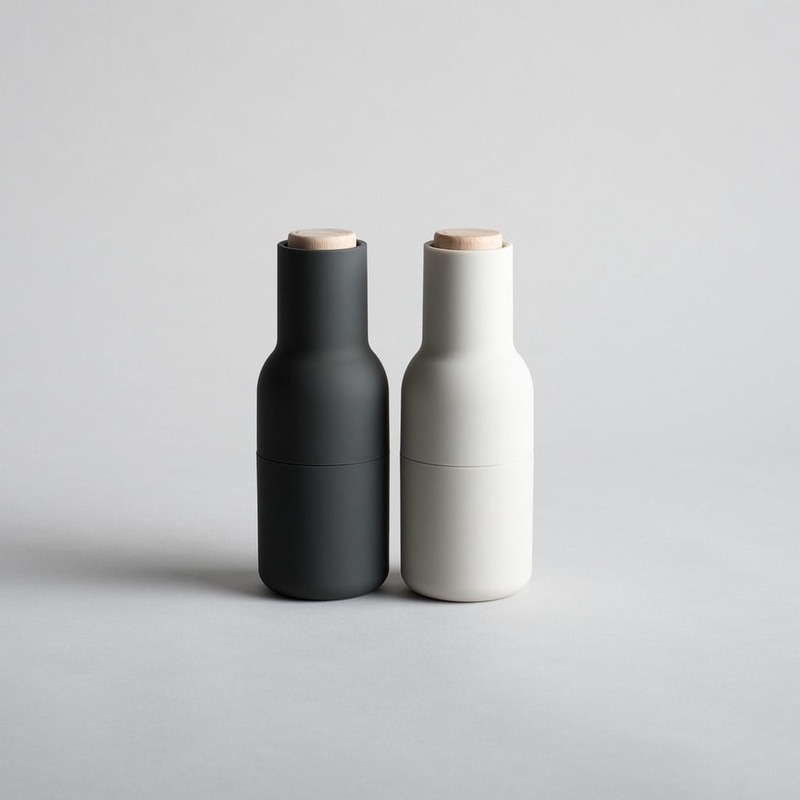 Menu Bottle Grinders have a rounded base that fits perfectly into the hands, and have a rubber surface that’s easy to grip and to clean. 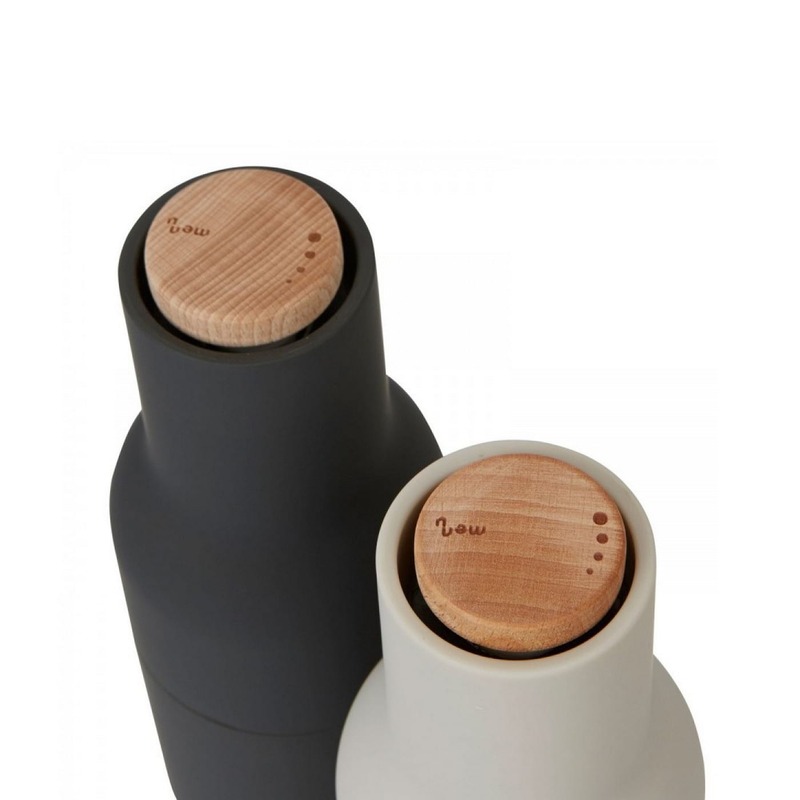 In addition to its minimalist, bold design and solid handle, it is also highly functional: the mill sits at the top so that salt, pepper and spices are only dispensed when you grind. 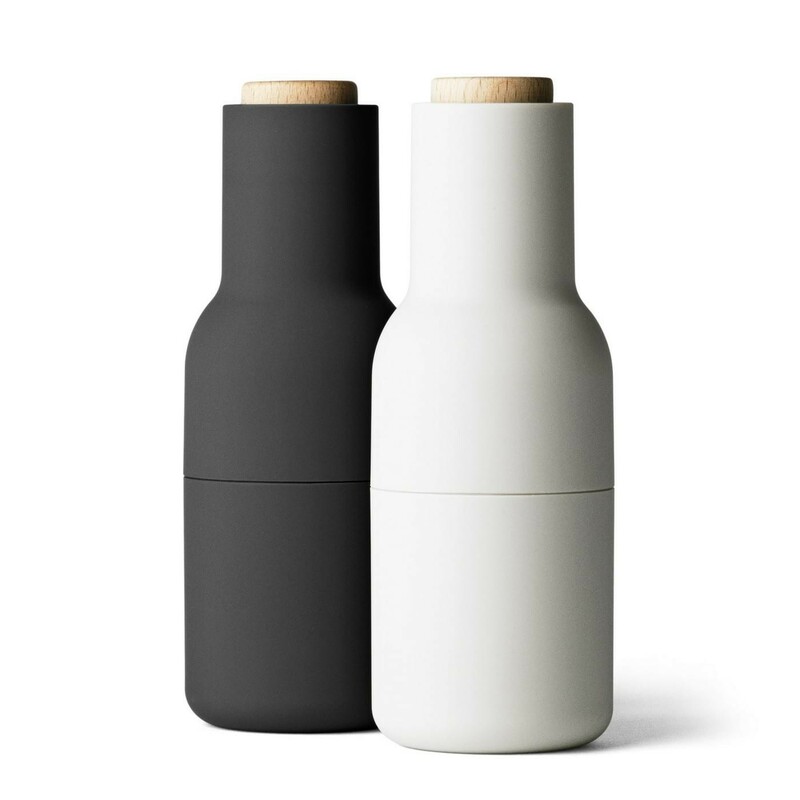 In other words, no salt or pepper on the table. 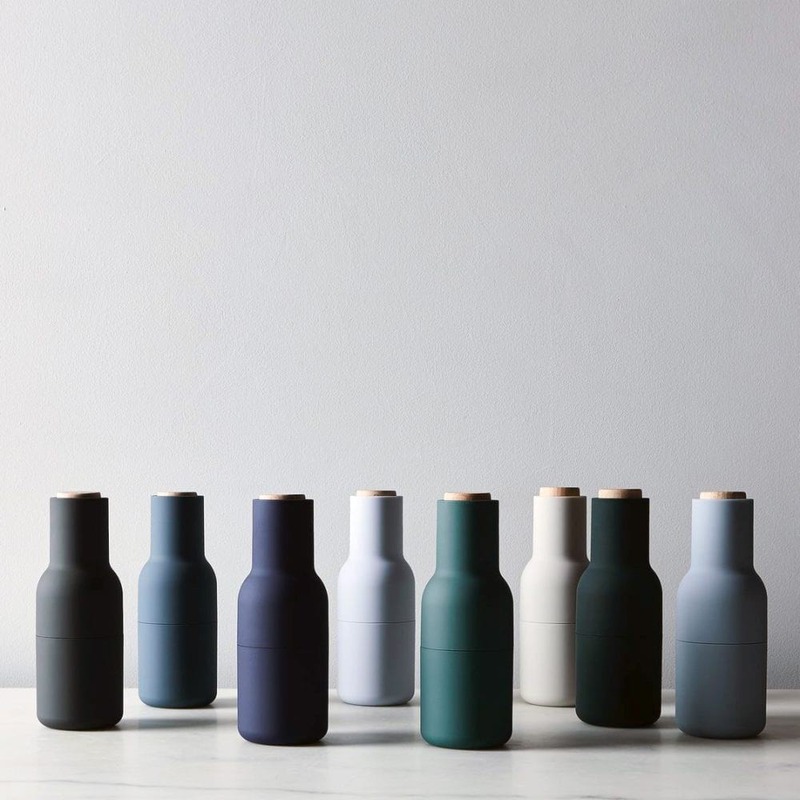 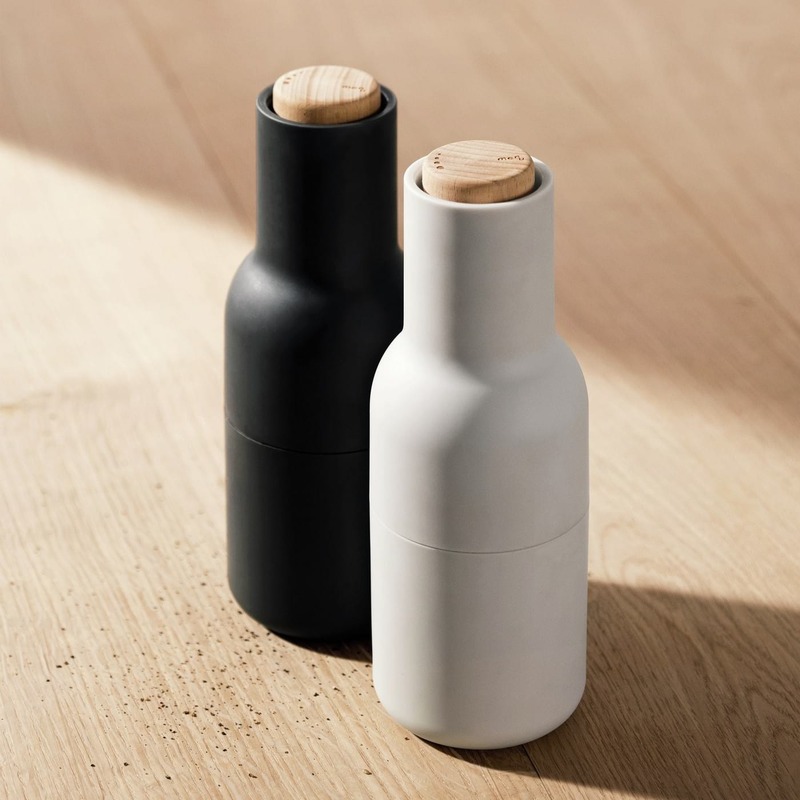 These bottle-shaped grinders are made of plastic and wood with a ceramic mechanism. 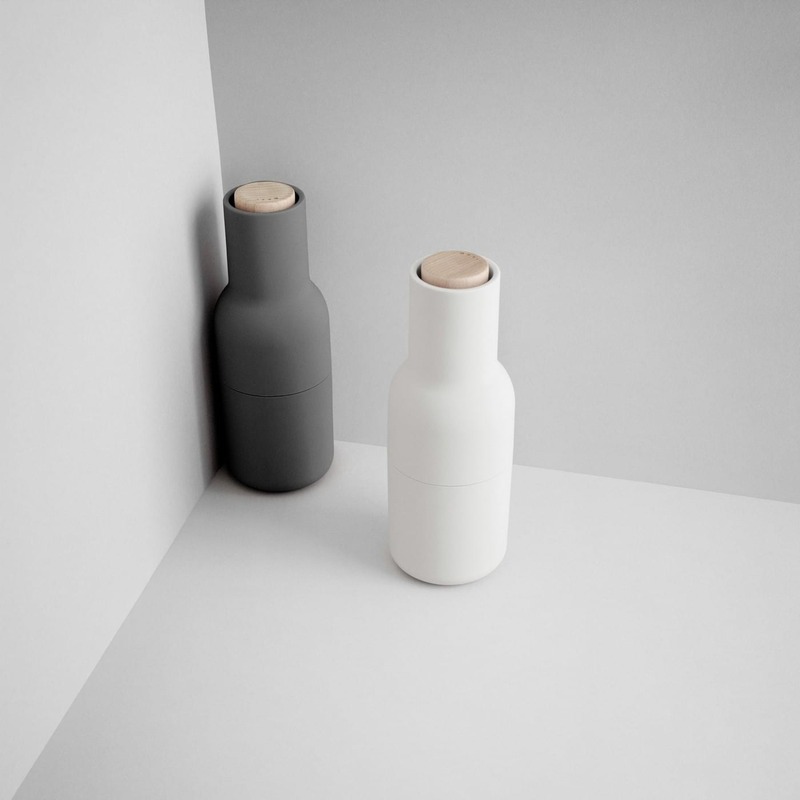 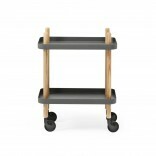 Available in Ash/Carbon color combination with wooden lid.